The 2019 Honda Accord continues to excel and improve upon its previous models with technology features throughout and turbocharged power for exciting driving around Cerritos, Buena Park, and Long Beach. 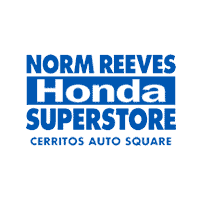 At Norm Reeves Honda Superstore Cerritos, we focus our Honda Accord reviews on the various specs and features you will find in the sedan. Take a look at some of the highlights of the 2019 Accord below and then be sure to stop by our showroom and get an even closer look at the car! The 2019 Accord is an IIHS 2019 TOP SAFETY PICK+ thanks to all the active and passive safety features it has. This includes the driver-assistive technologies that come standard in the sedan. The Honda Accord comes with Auto High-Beam Headlights that will change between the high and low settings to accommodate when there is low light or oncoming cars. With Honda Sensing®, the Accord can help aid you in staying safe by sending you warning alerts and even taking control of different systems to help you avoid a potential collision. Take the Collision Mitigation Braking System™ for example. This technology will be able to detect when a frontal collision is about to happen and apply the brakes to help you avoid an accident. The 2019 Honda Accord has a 1.5L inline 4-cylinder, turbocharged engine that gives the car 192 horsepower and 192 lb-ft of torque. This is matched with the Continuously Variable Transmission with Sport Mode. There is also the available 2.0L inline 4-cylinder, turbocharged engine, which will boost the power of the Honda Accord to 252 horsepower and 273 lb-ft of torque. The 2.0L turbo engine is paired with the available 10-speed automatic transmission with Shift-By-Wire. It also features paddle shifters for a more thrilling driving experience. Inside the 2019 Accord, there are seats for five passengers with a total passenger volume of 105.6 cubic feet. There is also 16.7 cubic feet of cargo volume in the trunk, which will allow you to carry various items from groceries to gear you need for the day. Along with space to enjoy a comfortable ride, there are also other features in the Honda Accord to enhance your comfort. The dual-zone automatic climate control system makes it easy for you and your front passenger to each adjust the temperature to your preferred setting. You also have the option to gain other available features like leather-trimmed seats, heated seats, and ventilated front seats. With the available 12-way power adjustable driver’s seat that also has a four-way power lumbar support, you will be able to sit relaxed and comfortable for however long the ride is while driving the 2019 Accord. Once you’ve read through our Honda Accord review, you can get a true sense of what it would be like driving this car around Cerritos, Buena Park, and Long Beach. All that is left to do is to test it out for yourself. At Norm Reeves Honda Superstore Cerritos, we can schedule you a test drive of the 2019 Honda Accord so you can truly experience its performance. Contact us today and get behind the wheel of the Honda Accord!